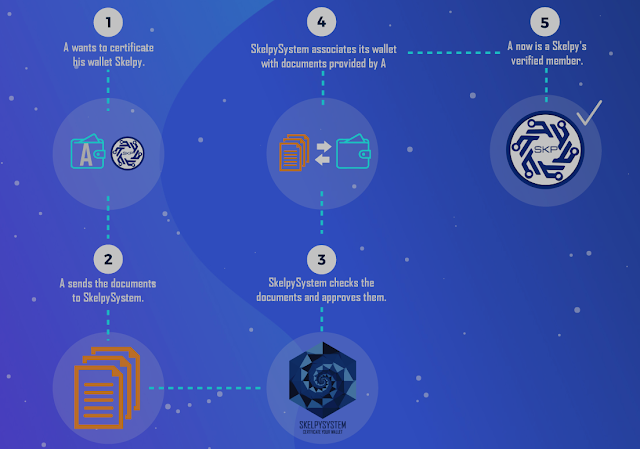 The goal of the Skelpy project is to create a blockchain in which all portfolios have a certified digital identity. Transactions will continue to be visible to everyone, but the subjects will be certified and recognized on the basis of visibility rules, explained forward. Thanks to this method it will be possible to be anonymous based on the level of visibility desired within the Skelpy blockchain. Being an innovative and very efficient technology, since the workload will be distributed on multiple servers, the source code of the exclusive SkelpySystem platform will not be released. Only part of the code concerning the blockchain and its useful tools will be released through GitHub. The Skelpy blockchain is based on technology DPOS (Delegate Proof Of Stake) in which there are 51 forgiving nodes that have the task of keeping the network active and at their discretion to share the daily profits with their own voters. Profits will usually be distributed as a percentage based on the weight of their vote. It will, therefore, be possible for the user to carry out transactions on the blockchain with a certified wallet (natural person or legal entity) or not certified. The Skelpy blockchain is based on DPOS technology (Delegate Proof Of Stake) in which there are 51 forgiving nodes that have the task of keeping the network working and functioning. 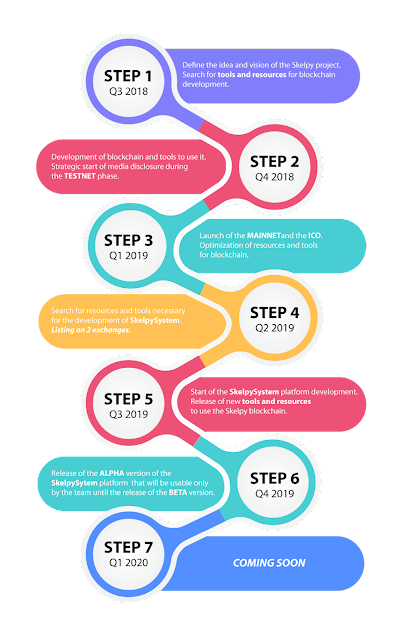 SkelpySystem is a decentralized platform that permits to certify and recognize the wallets inside the Skelpy circle. 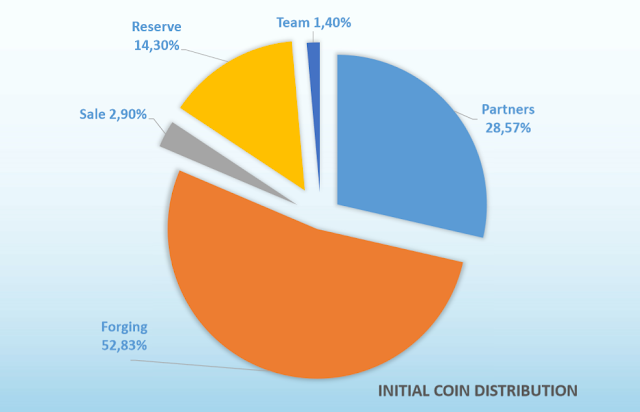 Through this system, it will be possible to recognize the subjects involved in the transactions on the basis of the level of authority allowed by the wallets owners. A wallet with a “Public” visibility level can be seen from all of the users registered at the SkelpySystem platform, without any need for recognition. A wallet with a “Solo” level of visibility is different from private visibility as it can’t receive recognition requests, but only send them to a wallet with private visibility. Each subject being part of the SkelpySystem platform must respect the laws that regulate it and certify his/her identity through the regulations of his/her home country and the KYC tool. Scenario: Skelpy received 250 BTC and the calculated BTC value of alternativecurrencies received is 50 BTC at the end of the TEC.